Liven up your everyday look with Nine West women's Danee Pumps. A stylish peep toe pump with a sleek silhouette, thin and chic platform, and a leather upper. 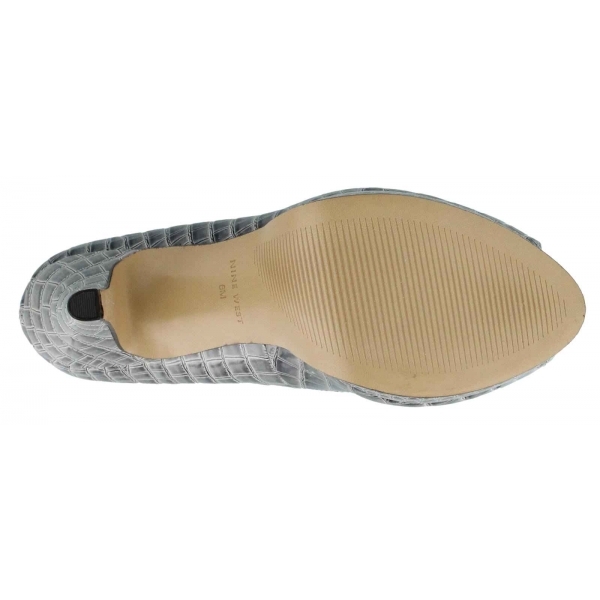 A crocodile skin print on this particular one will add some class for you. Padded footbed for more comfort. Heel height is approximately 10cm.